Family ties are tested and transformed in this novel from the #1 New York Times bestselling author of Waiting to Exhale and How Stella Got Her Groove Back. 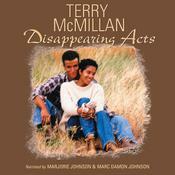 With her wise, wry, and poignant novels of families and friendships, Terry McMillan has touched millions of readers. 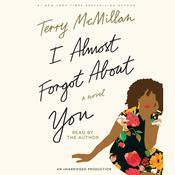 Here, in her eighth novel, McMillan gives exuberant voice to characters who reveal how we live now—at least in a racially diverse Los Angeles neighborhood. 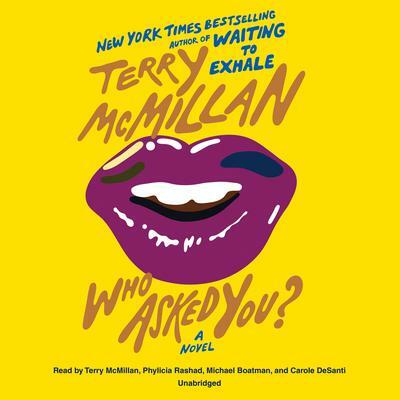 Kaleidoscopic, fast-paced, and filled with McMillan’s inimitable humor, Who Asked You? 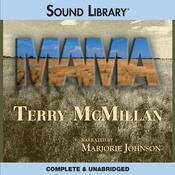 opens as Trinetta leaves her two young sons with her mother, Betty Jean, and promptly disappears. BJ, a trademark McMillan heroine, already has her hands full dealing with her other adult children, two opinionated sisters, an ill husband, and her own postponed dreams—all while holding down a job as a hotel maid. Her son Dexter is about to be paroled from prison; Quentin, the family success, can’t be bothered to lend a hand; and taking care of two lively grandsons is the last thing BJ thinks she needs. The drama unfolds through the perspectives of a rotating cast of pitch-perfect characters, each playing a part and full of surprises. 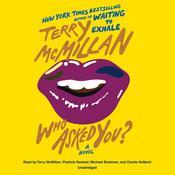 Terry McMillan is a New York Times bestselling author of a number of novels, including Disappearing Acts, Getting to Happy, and Waiting to Exhale. She studied journalism at UC Berkeley and screenwriting at Columbia before making her fiction debut with Mama, which won both the Doubleday New Voices in Fiction Award and the American Book Award. She is also a recipient of the Essence Lifetime Achievement Award. She lives in Pasadena, California.